Frances Elizabeth Caroline Willard was born September 28, 1839 in Churchville, New York. Miss Willard was considered Co-Founder of Chicago Chapter and her Chapter number was 2, with her National Number being 243. She was an educator and social reformer. 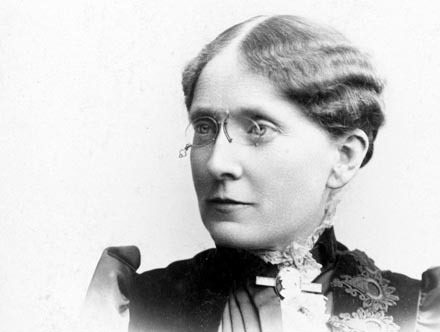 She served as president of the Woman’s Christian Temperance Union from 1879 until her death in 1898. She was also a strong advocate of woman suffrage. She was president of Evanston College for Ladies, when it merged with Northwestern University, she became dean of the Woman’s College. Miss Willard transferred her membership to Fort Dearborn Chapter in Evanston as it was nearer her work. A statue of Frances Willard represents Illinois in the Statuary Hall of the United States Capitol.